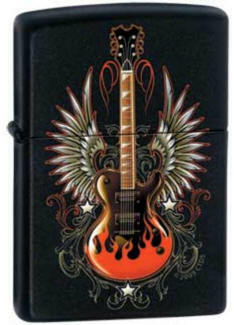 This custom Zippo Lighter has a gorgeous colorful winged guitar graphic on a black matte body. It can be engraved on the back top and body as desired. Zippo Lighters are made in the USA and have a lifetime guarantee.